Description: Get ready to relive life in 1812 with the upcoming Wasaga Under Siege - A War of 1812 Experience on August 13th and 14th (2016) at Nancy Island Historic Site. This is a great annual living history festival celebrating our rich Canadian heritage commemorating a War of 1812 battle between Americans, British and First Nations which resulted in an American victory with the sinking of the British schooner, The Nancy. Dianna's guest is David Brunelle who shares the history and tells us what we can expect at this year's event. Beach BOOSTER Media Group is a proud Sponsor of the Wasaga Under Siege event. BEACH CORNER from Beach BOOSTER Radio is available ON DEMAND anytime on any device from our Beach BOOSTER Radio Podcast Page. Please enjoy and share! Beach BOOSTER Photo: David Brunelle & Dianna in the Beach BOOSTER Radio studio. Get ready to relive life in 1812 with the upcoming Wasaga Under Siege - A War of 1812 Experience on August 13th and 14th (2016) at Nancy Island Historic Site. This is a great annual living history festival celebrating our rich Canadian heritage commemorating a War of 1812 battle between Americans, British and First Nations which resulted in an American victory with the sinking of the British schooner, The Nancy. Dianna's guest is David Brunelle who shares the history and tells us what we can expect at this year's event. Beach BOOSTER Media Group is a proud Sponsor of the Wasaga Under Siege event. BEACH CORNER from Beach BOOSTER Radio is available ON DEMAND anytime on any device from our Beach BOOSTER Radio Podcast Page. Please enjoy and share! 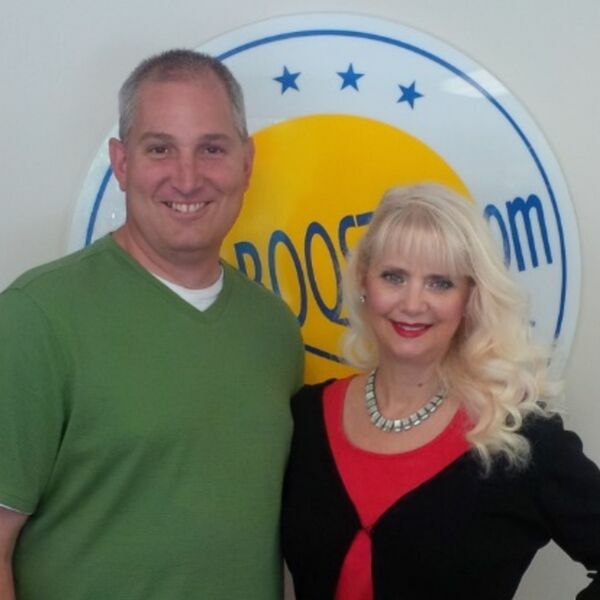 Beach BOOSTER Photo: David Brunelle & Dianna in the Beach BOOSTER Radio studio.